Admitted to the bar in Munich, Germany, Daniela Schmidt has represented and acted as legal counsel for pharmaceutical and medical device companies for more than 20 years. As the risk manager for IMMUNO International AG, a worldwide manufacturer and distributor of blood products, she negotiated, managed and coordinated the global insurance program. She also acted as legal counsel for IMMUNO in a broad variety of areas ranging from pharmaceutical law, contractual law, and product liability law to litigations for more than 7 years until Baxter Inc. acquired IMMUNO in 1996. 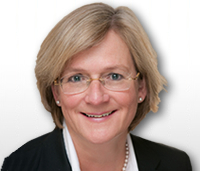 In 1997 Daniela became senior counsel and a member of Baxter’s Senior Management Team in Germany. She was responsible for all legal matters in Germany, in particular those that were related to medical device and pharmaceutical law as well as contract law. She developed and implemented internal compliance guidelines for transactions with healthcare providers and trained employees from the sales and marketing departments. As an active member of the German Association of Medical Device Industry (BVMed) Daniela was part of the working group that developed and promulgated compliance guidelines regarding the cooperation of its members with healthcare providers. The principles of these guidelines later became the basis for the guidelines of several other German and European associations, including EUCOMED. Since 2000 Daniela has represented European as well as US based pharmaceutical and medical device companies in matters and transactions, especially regarding their cooperation with healthcare providers (institutions and individuals) including contracts with respect to clinical investigations, marketing studies, services and consulting, all with a cross-border focus.